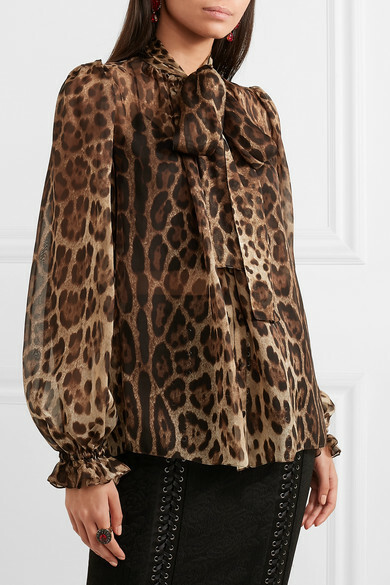 Dolce & Gabbana's lightweight blouse is cut from slightly sheer silk-chiffon decorated with classic leopard spots - one of the Italian house's favorite prints to use. 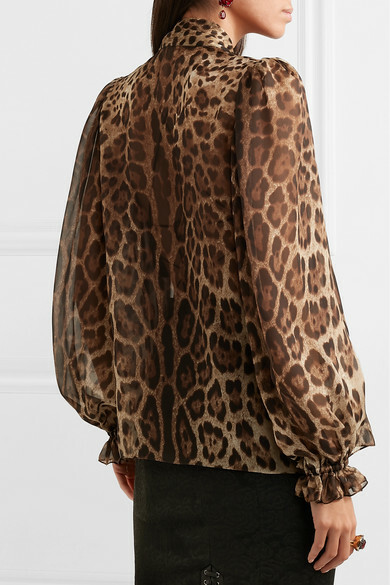 It's cut for a loose fit and is elasticated at the blouson sleeves to create volume. 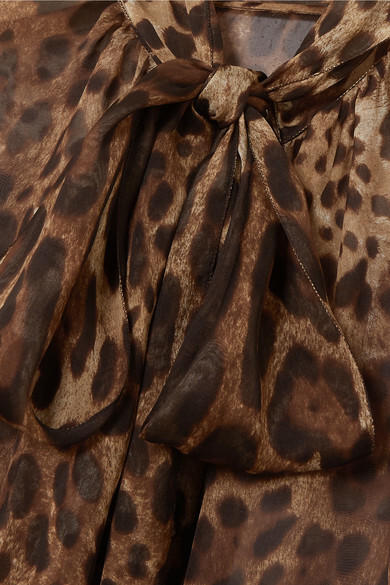 Style yours fastened up and bow-tied at the office, then leave the scarf loose and undo some of the buttons for a dinner date. 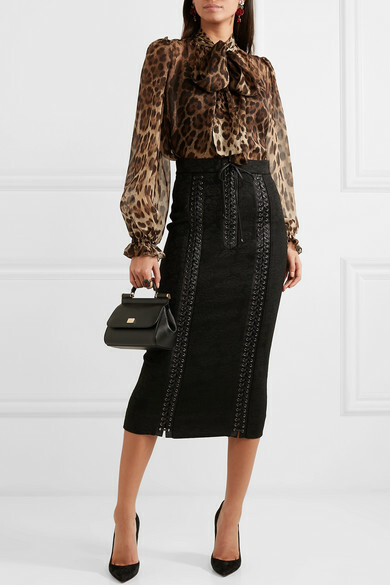 Shown here with: Dolce & Gabbana Skirt, Christian Louboutin Pumps, Dolce & Gabbana Earrings.